Christian and Hopeful leave the delectable mountain and run into several unique characters on their way towards the Celestial City. Ignorance, Flatterer, and the Enchanted ground await them. One altercation between the two (Christian and Hopeful) is very instructive for all of us. 120 How does Ignorance intend to get into the Celestial city (cf. Luke 18:12)? What is his response to Christian’s challenge? 121 Describe “little faith.” What happened to him? What did Christian mean when he said that the “Thieves got most of his spending Money”? 123 Why did Christian more or less rebuke Hopeful? Explain the nature of the issue. 123 How does Christian distinguish Little Faith from Esau? What is meant by “typical” (“Esau’s Birth-right was Typical”)? 130 They encountered “Inchanted grounds” in their journey. What does this represent? How does this show up in our generation? What does it look like now? How does one know that he or she has not fallen prey to the woes of the enchanted ground? 132 Hopeful explains what experiences he had before coming to Christ. Are these the regular experiences of coming to Christ? Must a person undergo all of them? What ones (if any) do you think must happen? He also talks about his attempts to mend his life (133). Why do most people respond this way? Is this conversion? Explain the illustration of the debt to the Shop-keeper (133). Is it true to say “I have committed sin enough in one duty to send me to Hell” (134)? Explain. 135 How is this “Sinner’s Prayer” (as it were) different from the modern version? Did this one prayer convert him? 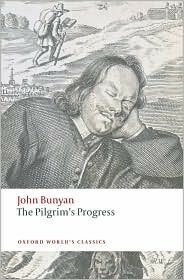 135 Bunyan revealed his remarkable pastoral and theological insight into the nature of conversion when answering why he didn’t leave off praying. Why didn’t he leave off praying when it didn’t “stick” or “work” the first time? What lessons should we learn from this? 136 NOTE: “believing and coming was all one” — two different verbs but the same idea. Coming to Christ is to believe in Him (it is not the same as coming to the “altar”). NOTE (127): “a man black of flesh, but covered with a very light Robe” — this is a reference to a false teacher, a false minister of the gospel (cf. 2 Cor. 11:13-14) as p. 128 indicates. Unfortunately, this wicked figure (false apostle) misled Christian and Hopeful and entrapped them in a net. This is a very curious encounter because atheism wasn’t as prominent in that generation. There were some but most of them were not very influential or popular. Christiana will encounter this ground as well. The Guide explains what it means: “For this inchanted Ground is one of the last Refuges that the Enemy to Pilgrims has; wherefore it is as you see, placed almost at the end of the Way, and so it standeth against us with the more advantage.” (278) One is most tired at the journey’s end and entertains a little rest. In resting, one falls asleep and never awakes. Alexander Whyte said that this enchanted ground “proved so fatal to so many false pilgrims, and so all but fatal to so many true pilgrims” (Bunyan Characters, 2:273).